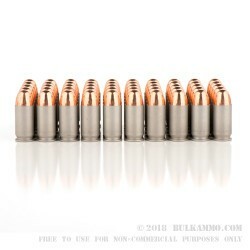 As possibly one of the most iconic rounds in the western hemisphere today, the .45 ACP is a treasured favorite among American patriots and shooting enthusiasts alike. 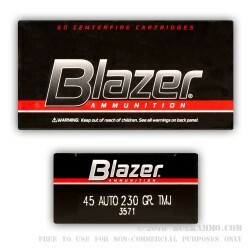 With the introduction of the Blazer 230 gr. 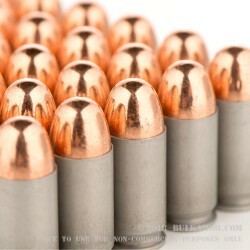 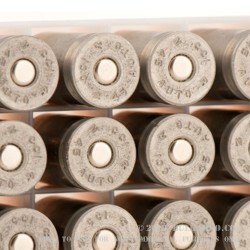 .45 ACP full metal jacket ammo load, getting quality time in at the range has never been easier than before. 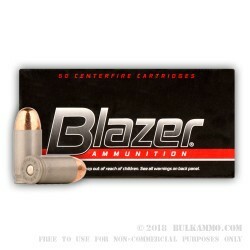 The Blazer 230 grain .45 ACP Full Metal Jacket has a wide array of applications, from plinking targets in your backyard, to competitive shooting at weekly Thursday Night Steel targets at your local range. 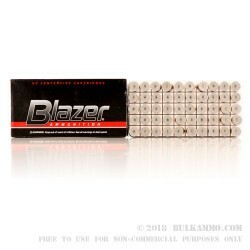 The fully metal jacketed 230gr rounds provide solid feedback against steel targets, and will not sheer and fragment against hard surfaces like traditional swaged lead core rounds. 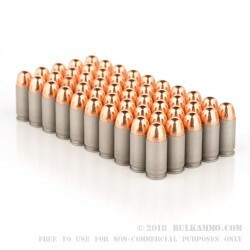 High polished brass cartridges make for an excellent reloading opportunity to shooters who are so inclined, and can help to stretch your ammunition budget even further than before, providing you more time doing the things you love, and less time doing the things you don’t. 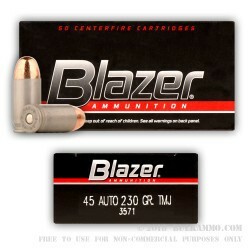 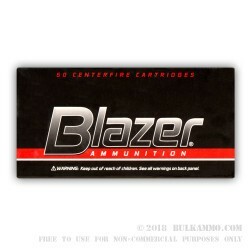 Weather you are in the market for a solid range ammunition, or merely looking to have some fun with friends, the Blazer 230 gr .45 ACP Full Metal Jacket is the perfect round for you.